Three Lakes, Wisconsin. 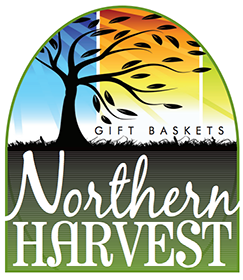 Northern Harvest Gift Baskets offers unique gift baskets filled with a variety of gourmet Wisconsin foods, including cheese, summer sausage, maple syrup, honey and dried cranberries. Owners Anita Kendall and Ken Stuckart individually fill, decorate and wrap each gift basket with great care.